It is a volunteer art therapy project for mentally impaired Rissian kids, teens and young adults. 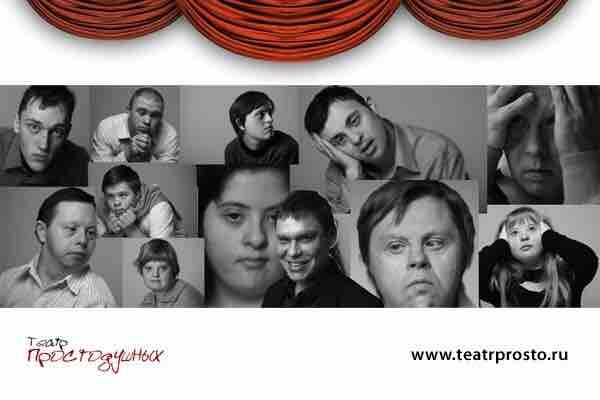 Actors of Prostodushnykh theatre – people with Down syndrome. The theatre project was founded in 1999. 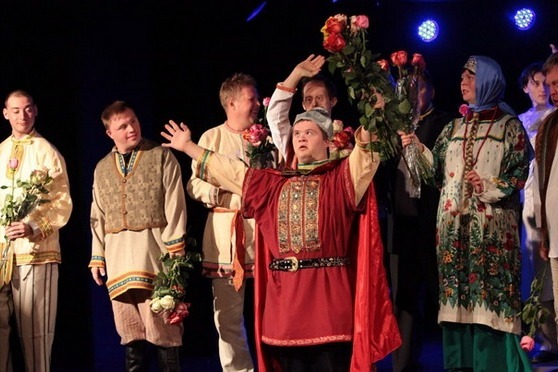 This is the first fundraising campaign for the Theatre of Open-Hearted (Russian 'Prostodushnykh theatre'). People with Down syndrome for some reason continue to be born in our world one on 600-800 people, and it does not depend on the social status, education, a nationality, a way of life of parents. In developed countries, these people can live as a productive member of society, with rich and diverse social and cultural life. But in Russia, people with Down syndrome have been suffering a lot, and they are suffering even more nowadays. The theatre is their opportunity to go out from their rooms where they spent most of their lives, to realize themselves and to show their hidden talents. The money will go to the production and support of the new website of the theatre, to the translation it into English, and to the marketing campaign in Google and Social Media. All of this will raise awareness about the theatre in the world and will help to establish new connections with charity organizations that will help the theatre and actors to survive. Together we can make the changes!